Shakespeare's Folktale Sources argues that seven plays-The Taming of the Shrew, Titus Andronicus, The Merry Wives of Windsor, The Merchant of Venice, All's Well that End's Well, Measure for Measure, and Cymbeline-derive one or more of their plots directly from folktales. In most cases, scholars have accepted one literary version of the folktale as a source. Recognizing that the same story has circulated orally and occurs in other medieval and early modern written versions allows for new readings of the plays. By acknowledging that a play's source story circulated in multiple forms, we can see how the playwright was engaging his audience on common ground, retelling a story that may have been familiar to many of them, even the illiterate. 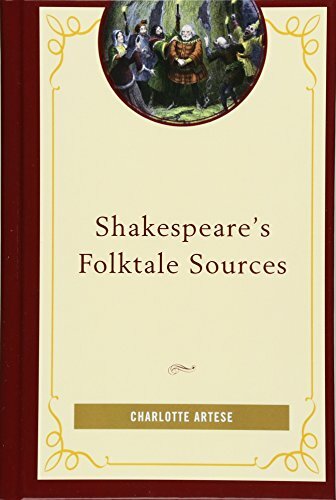 We can also view the folktale play as a Shakespearean genre, defined by source as the chronicle histories are, that spans and traces the course of Shakespeare's career. The fact that Shakespeare reworked folktales so frequently also changes the way we see the history of the literary folk- or fairy-tale, which is usually thought to bypass England and move from Italian novella collections to eighteenth-century French salons. Each chapter concludes with a bibliography listing versions of each folktale source as a resource for further research and teaching.